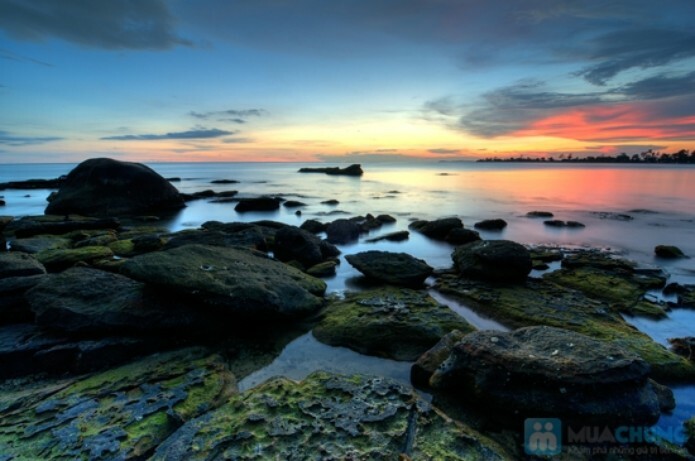 Moving from Chau Doc in Vietnam to Phnom Penh, you will discover the Mekong delta from Vietnam to Cambodia, then explore tthis beautiful country within 6 days 5 nights from Phnom Penh to Siem Reap - covers World Herirage classed in 1992. 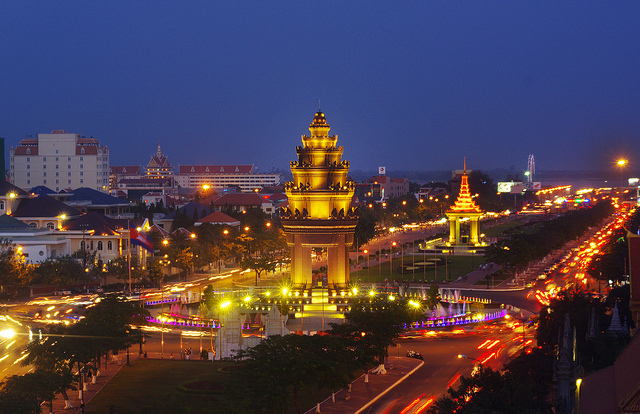 Upon arrival at Phnom Penh airport or ferry doc from Chau Doc, You will be met and transferred to your hotel. 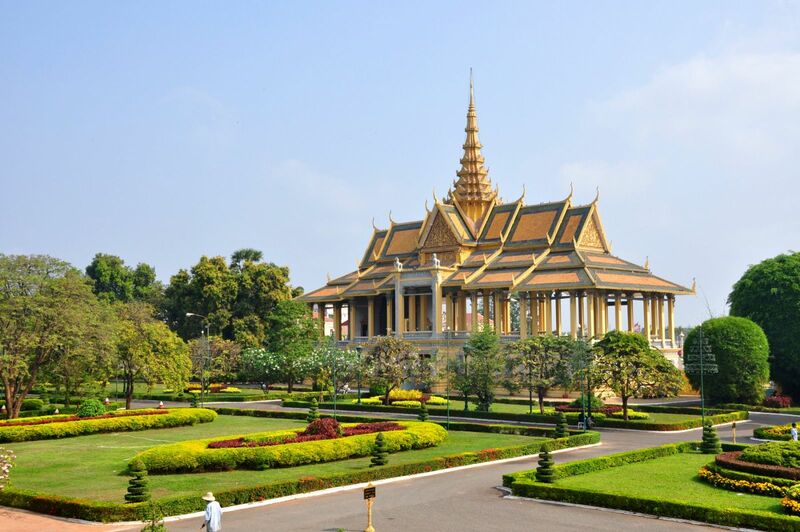 Visit to Royal Palace, Silver Pagoda, Independence Monument, National Museum and Wat Phnom. Overnight at hotel in Phnom Penh. Visit Killing Field, Toul Sleng Genocide Museum & Russian Market. Afternoon, Visit weaving village at Kean Svay & local people living along the river, then come back to Phnom Penh and view sunset along the Mekong River. Overnight at hotel in Phnom Penh. Transfer to Phnom Penh airport for departure to Siem Reap. 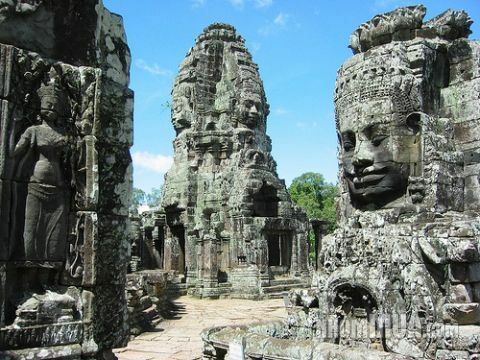 Upon arrival in Siem Reap airport, transfer direct to ecological site and visit to South Gate of Angkor Thom, the famous Bayon, Baphoun, the Terrace of Temple, Elephants and Terrace of the Leper King. 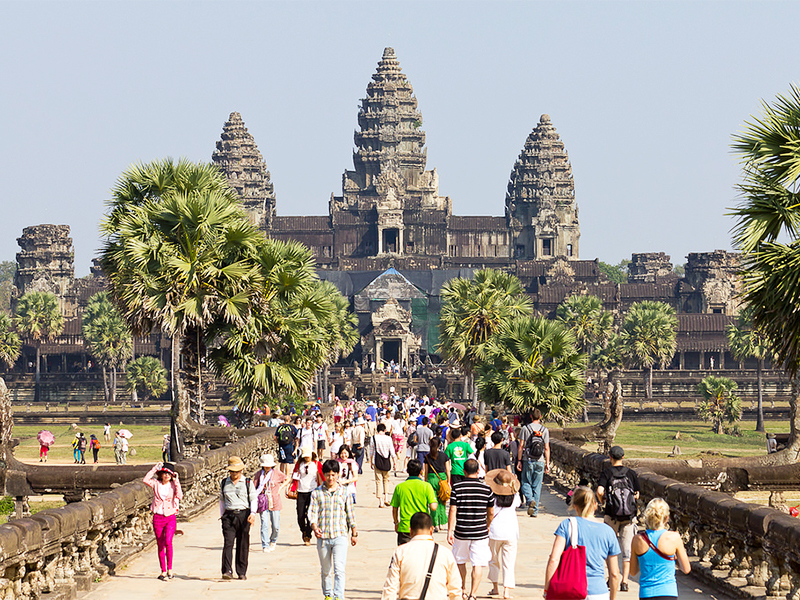 It is time to visit the world wonder of Angkor Wat and sunset from Phnom Bakheng Hill. Dinner with Apsara show at the local restaurant. Overnight at hotel in Siem Reap. To day we drive to visit Kbal Spean, 50km northeast of Siem Reap or 18km from Banteay Srei. The original "River of Thousand Lingams", Kbal Spean is an intricately carved riverbed deep in the foothills of the Cambodian jungle. Visit to Banteay Srei temple (10th cntury), regarded as the jewel in the crown of classical Khmer Art. 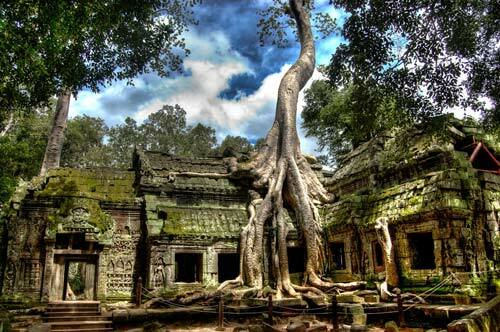 Then continue your visit to Banteay Samre, build in the third quarter of the 12th century. it consists of a central temple with four wings preceded by a hall and accompany by two libraries, the southern example remarkably well preserved. Overnight at hotel in Siem Reap. 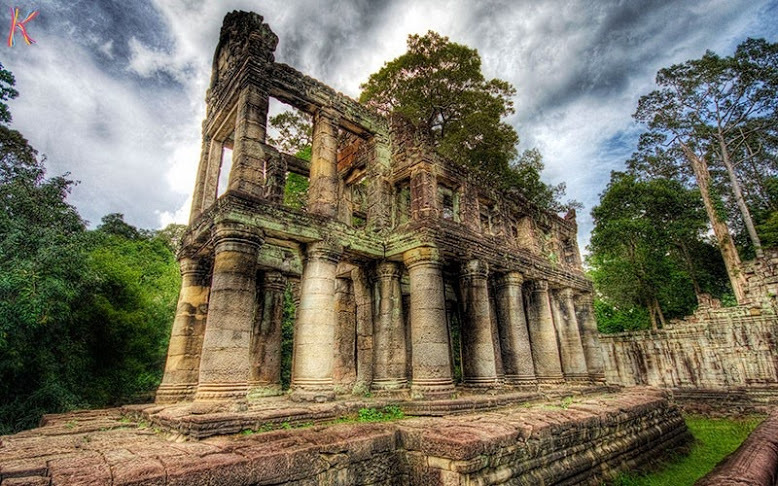 Visit Krovan, Royal Bath of Srah Srang and Banteay Kdei temples. 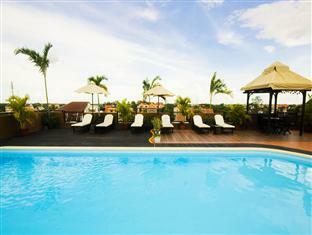 Overnight at hotel in Siem Reap. We board on boat in Tonle Sap Lake. Here, enjoy a brief cruise past floating villages complete with schools, restaurants, and hospitals. 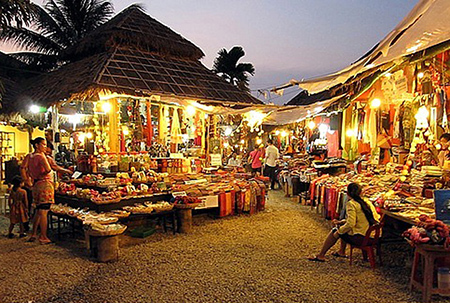 Free & leisure at your own time for rolling at local markets or shopping until transfer to Siem Reap Airport for departure.